Leonie is passionate about the mountains, leadership, and mentoring women to claim their seat at the 'table' in traditionally male dominated organizations. Leonie graduated from the US Naval Academy in 2006, kicking off a successful first career of leading Marines. 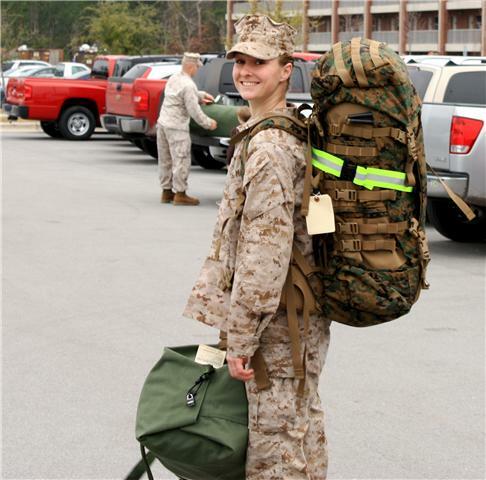 As a communications officer she led hundreds of Marines over two deployments to the Middle East while managing technical details of high priority communications networks. On her spare time she competed internationally on the Marine Corps Triathlon Team. For a follow-on tour she helped head the Leadership Development and Research Department for the Naval Academy. After two years of teaching leadership at the Naval Academy, in 2014 she decided to transition into the Navy Medical Corps and currently is in rotations for medical school. She has been mountaineering for 11 years, guiding groups up Mt Washington in severe New Hampshire winter conditions and on Mt Rainier, WA. When she is not working toward becoming an Orthopedic Surgeon, you can find her chasing powder, mentoring young leaders or often both!